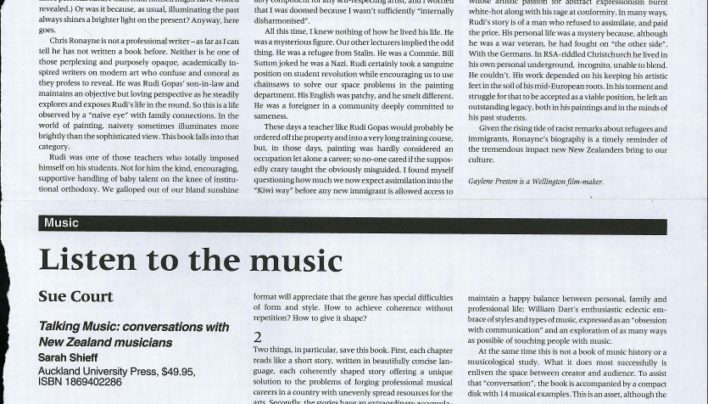 Our advertisement in the December 2005 issue of New Zealand Books features a background which matches the fabric of our reading armchairs. 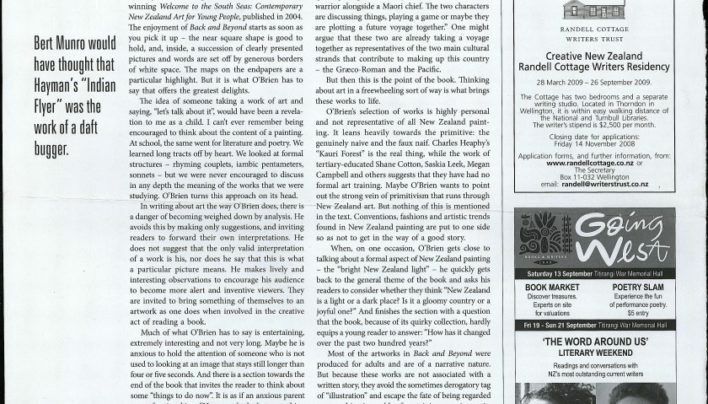 Our advertisement in the August 2004 issue of New Zealand Books. 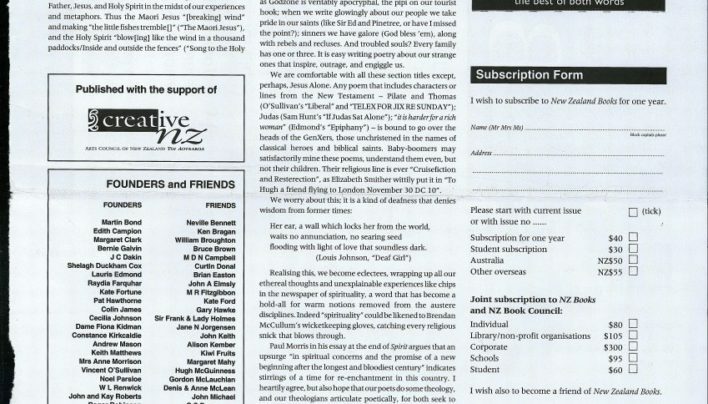 Our advertisement in the June 2004 issue of New Zealand Books features Tarzan Presley by Unity old-girl Nigel Cox, soon to be published by Victoria University Press. 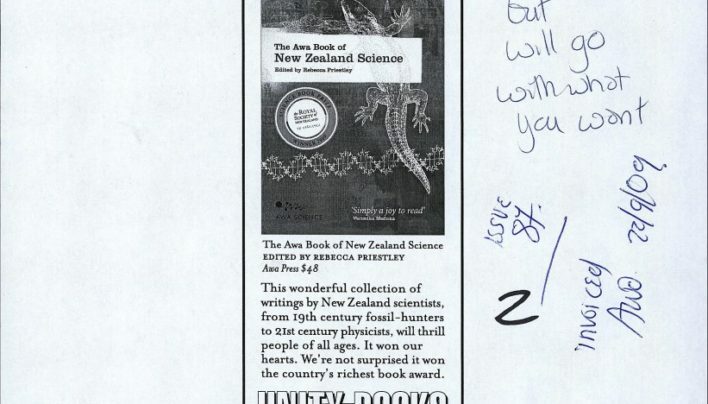 Our advertisement in the June 2003 issue of New Zealand Books features Don Binney: Nga Manu/Nga Motu: Birds/Islands by Unity old-girl Damian Skinner, published by Auckland University Press. 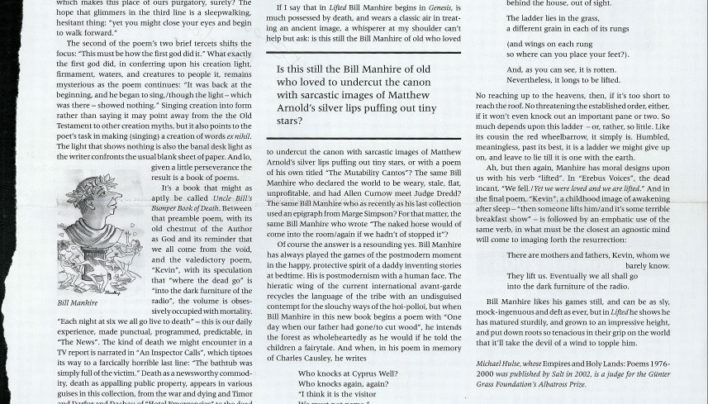 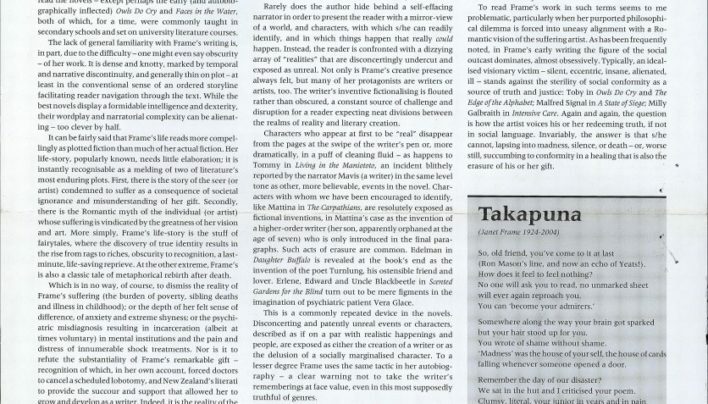 Our advertisement in the March 2003 issue of New Zealand Books features three titles from the Four Winds Press essay series. 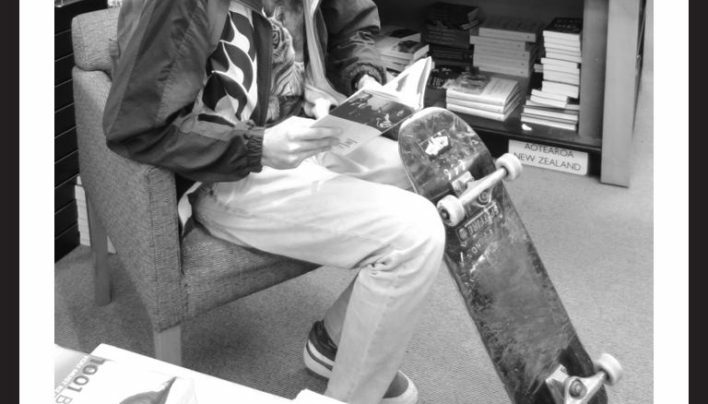 This skateboard brought its person in to check out a copy of Goneville, and we turned this into a photo shoot for our August advertisement for New Zealand Books. 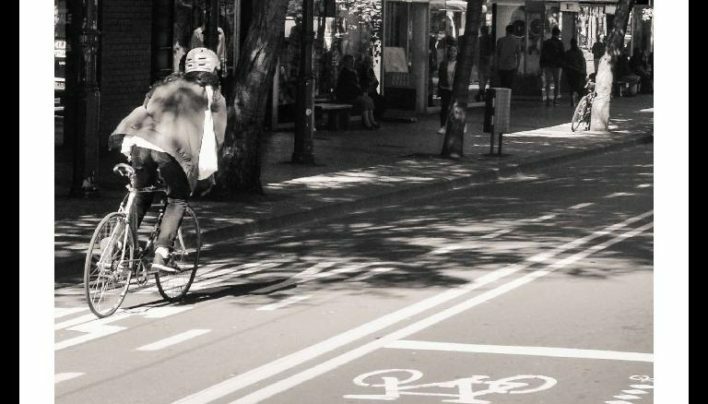 Our advertisement for the June issue of New Zealand Books features a cyclist speeding towards the shop. 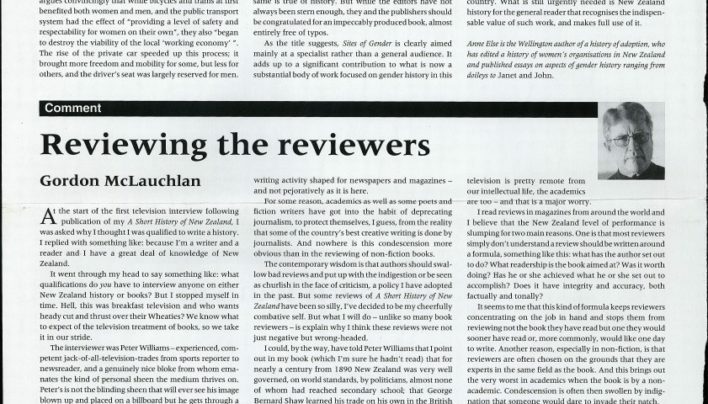 Important reading to be done! 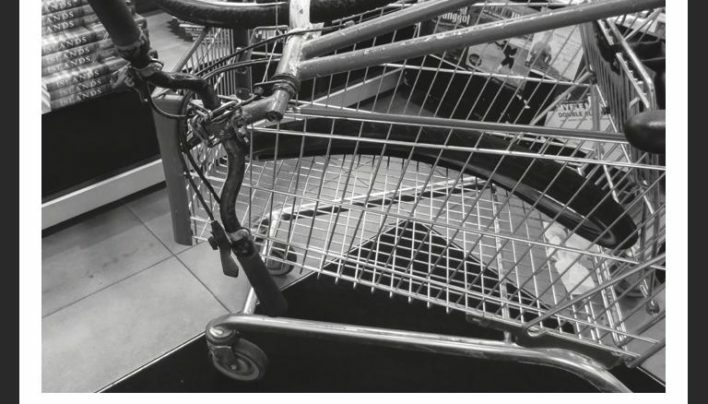 Our March advertisement for New Zealand Books features the wheels of a bike and an errant supermarket trolley.